Beautifully crafted, the set of 3 Navigator trunks feature a striking copper finish that will bring style and warmth to any dÃƒÂ©cor. The robust storage trunks are made from reliable MDF and durable aluminium, ensuring a strong piece of furniture to store your household and personal items in. The copper finish will create a wonderful focal point in you room, while the wooden struts, stud detail and locking clasps give the boxes a worldly feel. The 3 different sized trunks, small, medium and large, provide ample space for such things as clothing, linen, paperwork, towel and other bits and bobs, helping to keep your home clutter free. 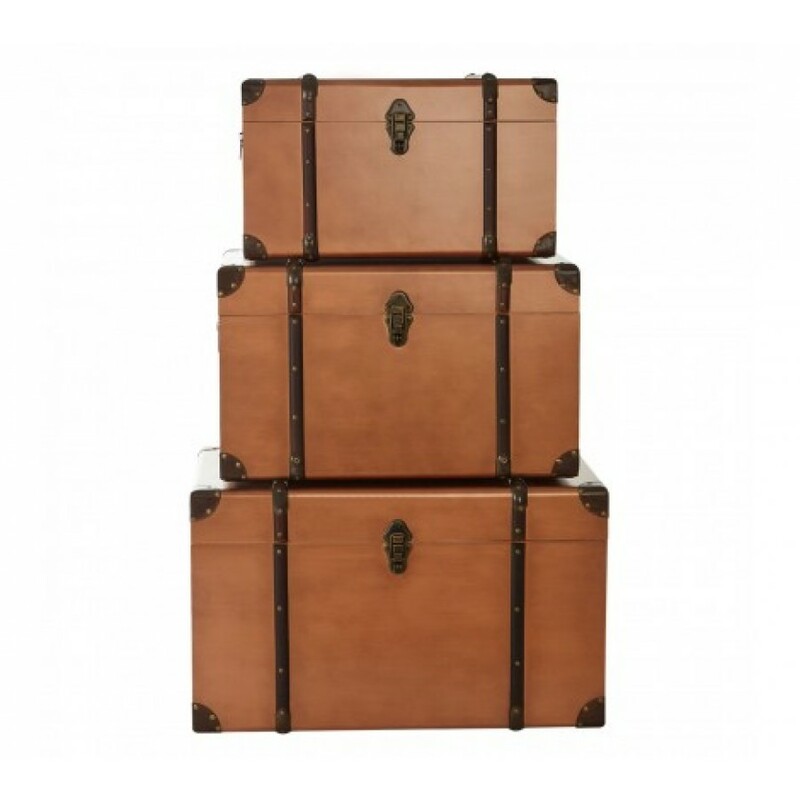 The on trend set of 3 Navigator copper storage trunks will bring function and style to your setting.